Whistle Punk's Citra IPA (left) and Mosaic Pale Ale. The beer was a mystery. No one at my neighborhood pub seemed to know where exactly it came from. The consensus, however, was that this IPA and its citra hop flavor was exceptional. And the name ... Whistle Punk Brewing? Never heard of it, but my server, having just got the keg in that day, insisted it was local. Even Google couldn't help me. The brewery had almost no web presence. But a phone call later I realized I was drinking the nascent creation of something that's been long in the making. Whistle Punk is a collaboration between father-and-son team Craig and Matt Hanson; the latter spearheaded last year's inaugural Spokane Craft Beer Week. The family had been trying to get a brewery off the ground for more than a year, but found the process slowed when they filed paperwork as Hanson Brothers Brewing, only to get a cease-and-desist order from a certain boy band that, oddly, also makes a beer. Craig laughs now about the legal issues, saying the settlement basically covered their legal costs, so it didn't hurt the company. In fact, the extra time allowed the Hansons to create a plan of attack. "It knocked us back by some time, but we're still working our [day] jobs and this allowed us this phase of deciding how to invest in this," says Craig, a special-education teacher. Matt says that the relatively stealthy rollout — with little social media or even a Taplister account at first — was intentional. They didn't want to make a big deal about themselves before they had the beer dialed in, says Matt, who works in digital marketing as well as at the Davenport hotels. "The plan was to keep it low-key," says Matt. "We're still tweaking the recipes. We want a beer that tastes cohesive and is right up there with anything else." The few kegs the Hansons have put on tap at places like Jones Radiator, both Bennidito's locations and other beer-centric bars have yielded strong sales and positive online reviews, even if Matt says they weren't ready for that. Whistle Punk — named for an old logging term for the kid who blew the whistle in a logging camp as a nod to the Hanson family's deep roots in the logging industry — have plans to open a tasting room by this summer, but just like their recipes, they're keeping things fluid. Although they hope to have a spot nailed down very soon, several neighborhoods, including downtown Spokane, are still in play. Whistle Punk is honing its recipes with a small set-up in Newman Lake. 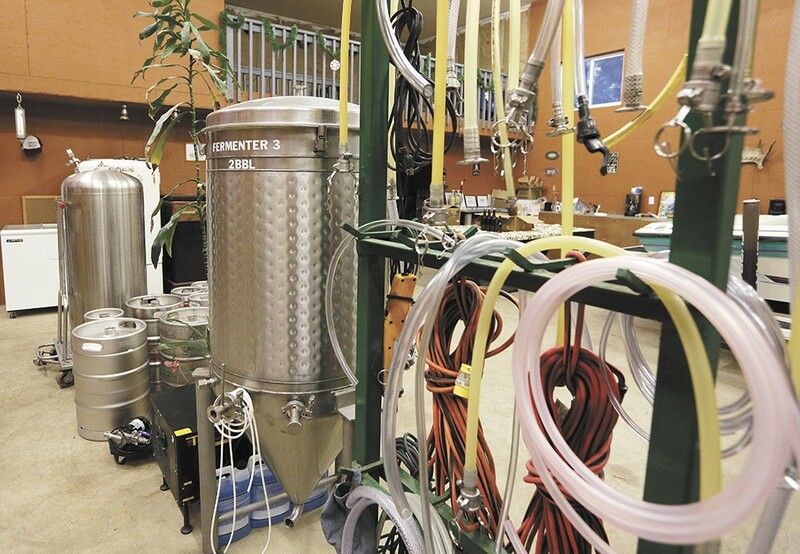 Right now, they'll continue fine-tuning the beers at their small operation on the family property in Newman Lake, hoping to generate a stable of solid beers before opening the bar. Their current system is a small, three-barrel set-up that Craig says will get them through the initial stage of their plan; they'll begin shopping for equipment upon opening the tap room. Craig has been homebrewing since the early 1980s during his college days at the University of Montana, when making your own beer was still very much a new hobby. 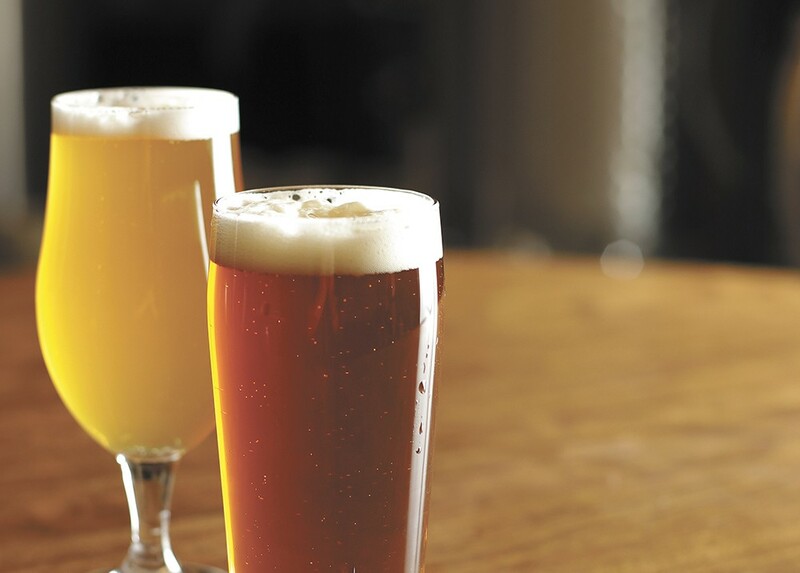 "Nobody had a palate for good beer. I enjoyed my stuff, but most people I served didn't like it," says Craig. "Back then they thought Budweiser was as good as it got." Matt grew up watching his dad brew, learning of beer as a craft rather than the route to a buzz, and bought his own homebrew kit on his 21st birthday. About five years ago, the father and son laid out a plan to eventually open a brewery, and Craig says they're just about on schedule. As for the beers, both Matt and Craig love hop-forward beers, which the Hansons see as their go-to style. But they're hardly looking to get pigeonholed. They were both pleased with their darker creations, which included a winter seasonal. "We are both hop lovers, but we don't want to do IPAs in a way that's become a tired format," says Matt. "We also have stuff in barrels, and we'll do an imperial stout." Complimented on the quality of their first batches of IPA, Matt is reluctant to accept too many accolades. There's still fine-tuning to do, he says, and they've set their aim high. "I think we make good beer. I just don't want to be complacent with our beer if we know we can do better," Matt says. Soon, they'll finally open a Facebook page and take their website live. Whistle Punk will no longer be shrouded in mystery, much to the pleasure of local beer fans who've been wondering what exactly they've been drinking.